Give your dog a comfortable sleeping place with the Dog House. With a removable roof, this house offers both an enclosed and open structure. 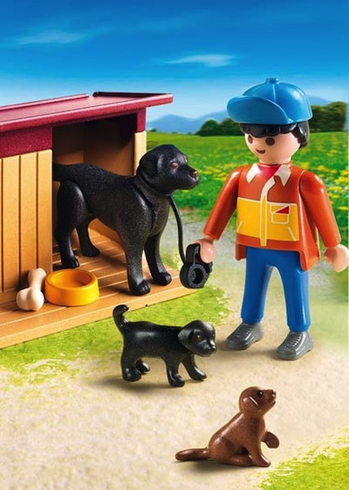 Set includes one figure, dog house, dog, puppies, leash, and other accessories. Recommended for ages four to ten.